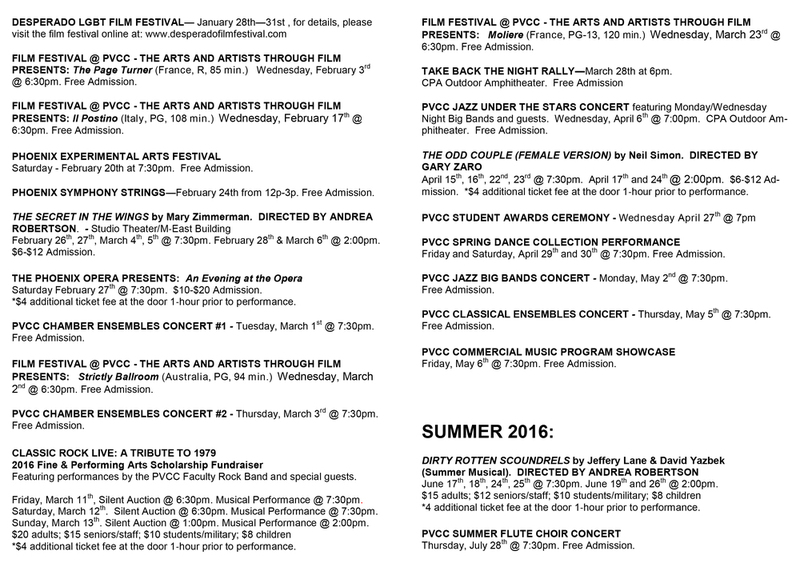 From Modern to Ballroom to Belly Dance to Ballet - check out our Fall 2016 Dance offerings at PVCC. We are pleased to offer a series of free workshops for PVCC veterans that will provide creative activities in the Fine and Performing Arts disciplines: Visual Art, Dance, Music and Theater. 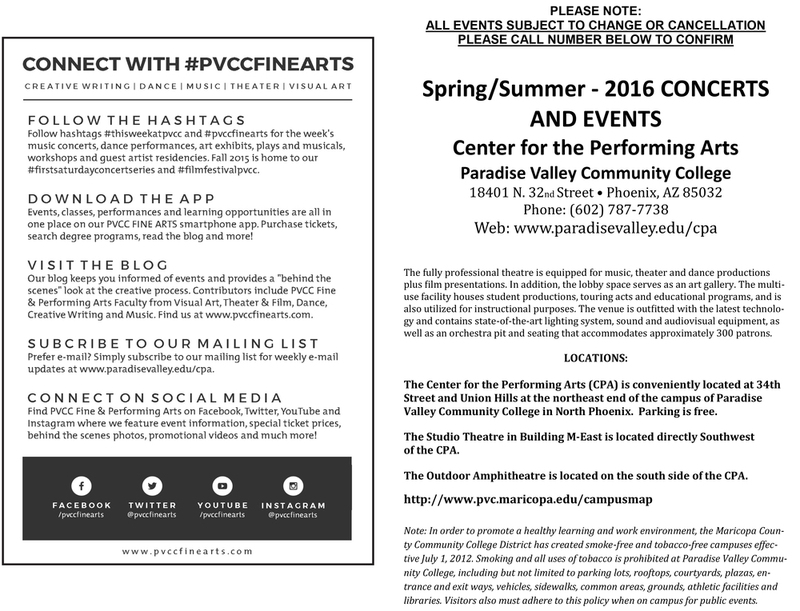 Workshops will be taught by PVCC faculty. No experience is necessary. Pre-registration is required. For more information and to register, e-mail David L. Bradley, david.bradley@paradisevalley.edu or call (602) 787-6115.